So, the Marathon is two months away, almost to the day, and I’m just starting my blogging and fundraising. Not ideal. Still, it adds to the excitement. Hopefully the pressure of that deadline will squeeze huge amounts of money out of everyone I know. I hope so, because ICAN is an amazing charity. 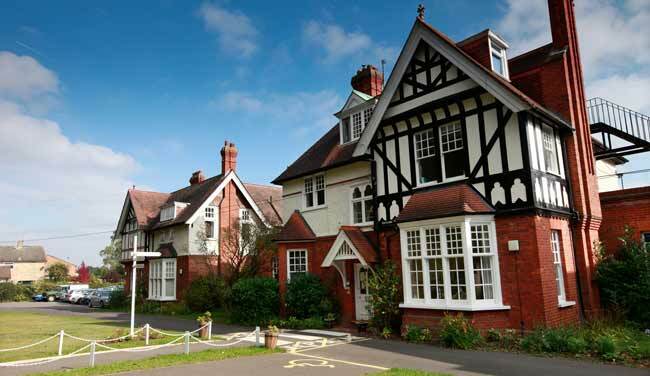 I did some copywriting work for them a few years back, and have never forgotten visiting their Meath School in Surrey. It’s a cliché to describe an experience as ‘humbling’, but this one certainly was. It felt like a privilege to be able to speak to the Head, Janet Dunn, a fearsomely brilliant (but entirely unfearsome) woman who spoke with the sort of passionate intelligence about her work that makes you feel that you should drop everything and start working for her. A born leader, clearly, and utterly dedicated. Going around the school was an eye-opener, too. I didn’t understand ‘communication disability’, and one of the problems is that it’s a very wide-ranging spectrum. (Here’s ICAN’s introduction to it.) The bottom line, though, is that these are children who, in various ways, struggle to communicate. Without specialist understanding, a lot of these disabilities go undiagnosed for a long time. Children learn strategies to get around them – private strategies that are often completely missed by the rest of us. The problems only emerge as children grow older. Maybe their test scores drop away as schoolwork becomes increasingly difficult to do without strong communication. Or the frustrations of not being able to make themselves understood come out as ‘bad behaviour’, and they end up excluded and marginalised. The implications of both can be lifelong, and devastating. And while they’re still at school, life can be unbearable for children who can’t communicate properly. As well know, the playground can be a brutal place for anyone marked out as ‘different’, and these children can end up isolated and bullied. It’s heart-breaking. At ICAN’s two schools (one primary, one secondary), it’s a very different story. The children’s needs are understood and addressed by dedicated specialists. (Very dedicated.) When I visited, I saw a school that, at first glance, looks like any other: the children are happy and lively, dashing about in the playground or sitting attentively in lessons. And that’s what’s so remarkable, because many of the children have quite severe problems with language. The story that stays with me the most from that day was of a little boy with a rare form of epilepsy (I believe it was). This condition is almost unbelievably cruel: it means that at any moment, he may have a seizure and lose all the language he’s learnt to that point. Like wiping a hard drive: gone. Start again. When I visited, they told me that this little boy was now almost six, and so could understand his condition to some degree. And that almost made it harder. Because even as he was learning his language, he knew that at any moment it could all be snatched from him, and he’d have to start again. It’s hard to imagine how you carry on. Thankfully, he was with a group of people, and part of a school, that understands his condition and its impact on him and his family. And they were finding ways to get around the disability. Often, sign language is invaluable, because it uses different parts of the brain to speech. But there’s only so much ICAN can do with two schools. They do a huge amount of work, too, in researching and promoting understanding of ‘SLCN’ – Speech, Language and Communication Needs. But they‘re still a little-known charity, working incredibly hard without enough recognition or support. That’s why I’m running for them. And why you should empty every purse, wallet and piggy bank in the house into my fundraising page. There are many, many more children out there with these disabilities, many of them undiagnosed and struggling in silence – sometimes literally. Let’s help ICAN reach them too. This entry was posted in Fundraising, ICAN and tagged communication, disability, fundraising, ICAN, London Marathon, Marathon, Meath School, speech and language on 20 February, 2013 by reedwords.